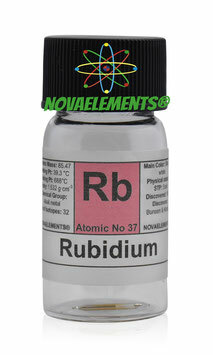 Rubidium is another alkali metal, has chemical symbol Rb and atomic number 37. 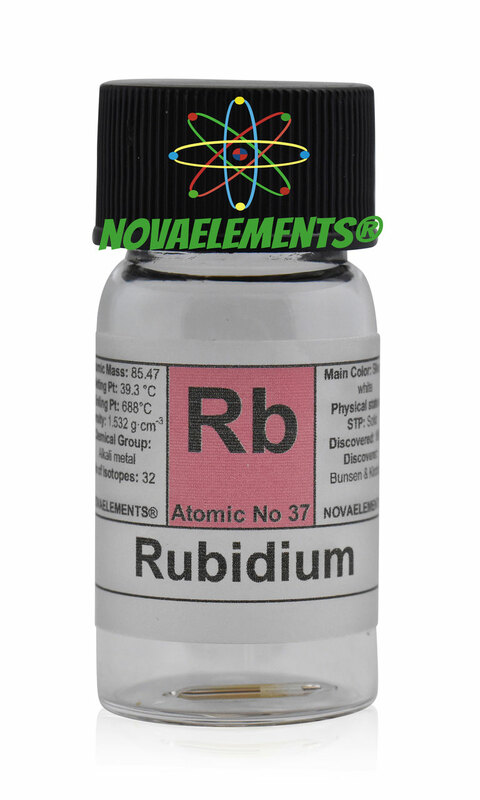 Rubidium is a solid and silvery white metal at normal pressure and temperature, it is strong to cut and instantaneously oxidizes in the air making a black film of oxide, instead reacts violently with water producing Hydrogen gas and burns with a purple flame. We suggest this element at the purity of 99,99% in various sizes and shapes glass ampoules, all filled with argon to prevent oxidization. 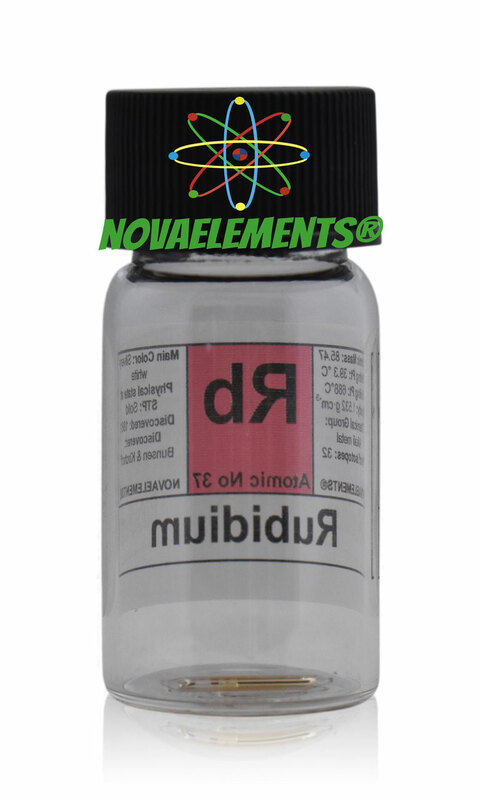 Rubidium metal element 20 mg 99,99% in mini ampoule inside a beautiful glass vial. Pure Rubidium metal sample. 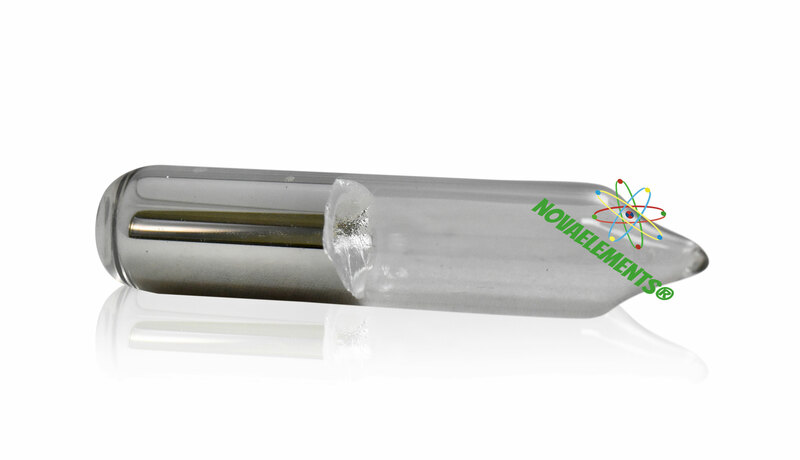 Very pure Rubidium metal element sample 0,1 gram 99,99% in argon sealed ampoule (dimensions: 10mm diameter x 30 cm long), the ampoule is put inside our glass vial professionally labeled. Very rare Rubidium element 37 sample. DISCOUNT CODE NOT VALID FOR THIS ITEM! High purity Rubidium metal element 37 sample of 1 gram in argon sealed ampoule, purity 99,99%. 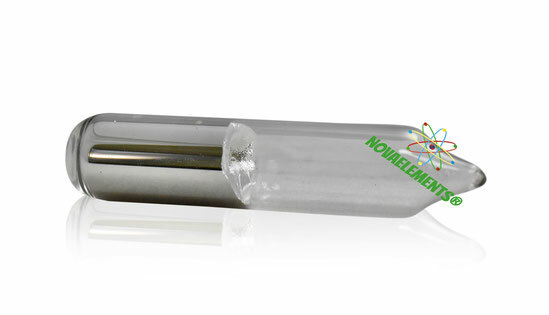 Pure Rubidium metal element sample, dimensions of the ampoule: 40mm x 10mm ca. LEAD TIME: 4 WEEKS, discount code not available for this item!